New York, NY, March 26, 2015	(Newswire.com) - Growing up as a kid in Africa where opportunities were limited, Ed Blaze made his friends laugh to pass the time in school, not realizing that comedy would be his calling later in life. 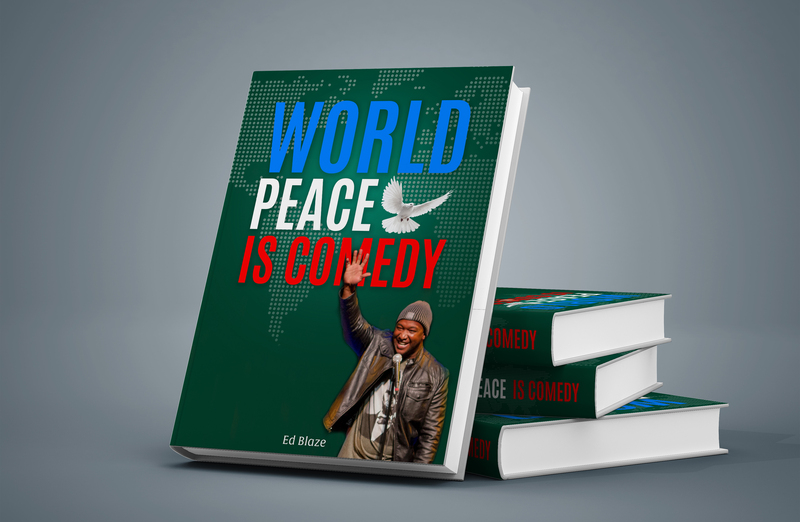 Blaze’s first book World Peace is Comedy chronicles his childhood in Africa and his life as a stand-up comedian in America, travelling and performing his way across the United States, working with comic legends such as Dave Chappelle, Bill Cosby, Ralphie May, and Jim Gaffigan. The author also talks about a passion for charity, and the motivating belief that comedy is a healing force for people of all races and backgrounds. Blaze weaves his hilarious misadventures as a Tanzanian living in America into his stand-up comedy, offering a fresh style of wit and humor that is an outlandish mix of observations on the cultural differences between his homeland and the western world, as well as unique commentary on topics like politics, race, pop culture, and sexuality. Blaze’s comedic influences include Eddie Murphy, Ricky Gervais, Richard Pryor, Dave Allen, Dave Chappelle, Louis C.K., Chris Rock, Lewis Black, and George Carlin. For more information, or to watch Ed Blaze in action, visit www.edblaze.com. 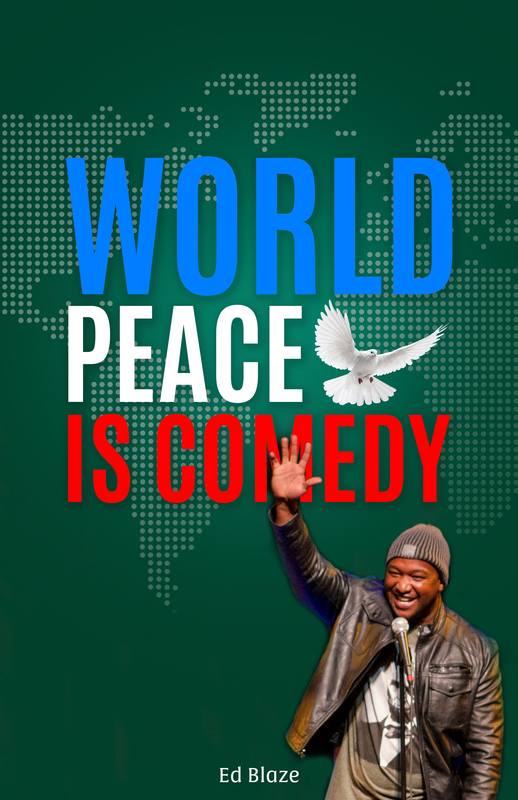 Get a digital download or signed hardcover copy of the first edition of “World Peace is Comedy” by Pre-Ordering $10 or more to the official Comedy is World Peace Kickstarter Campaign. Or give your perk as a gift to another recipient! Special incentives also include free comedy tickets, dinners, and an invitation to the official book launch party in New York.